ADVAN delivers custom website design services to achieve your business goals. 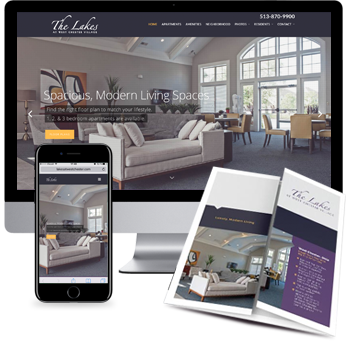 Finding the right web design Tallmadge Ohio company can be a tough challenge. We want to help you get the results you want and need for your company to continue increasing success. ADVAN is a web design company that can help you design a site that is perfect for your business. It will send the message you want to send and serve as a major source of new business for you. Our process begins with getting an indepth understanding of your goals and then turning that understanding into a great design for your site. Most business owners understand how important it is to have a great looking site, but they don’t realize what else their site can do for them. Designed properly, your website can work as your number one lead generator for your business – we’ll help you get there. ADVAN works with established businesses throughout Ohio to help them grow their current market share and diversify into new markets. We give you measurable results so you know your investment in your website is working. Your goals for your company aren’t one-sided and your website shouldn’t be either. We’ll help you get a website that offers short-term impact and helps you achieve your long-term marketing goals. We want to give you measurable results. It’s no secret you don’t have time to wait around for an ROI when you spend your marketing dollars, but like most busy business owner, you don’t have time to invest in site design and SEO research. We’ll help you get where you need to be without having to sacrifice anything else. No matter your goals for your business, we can help you create an online presence that helps you rise to the top. We’ll do the hard work so you can enjoy the benefits! ADVAN is a web design Tallmadge Ohio company focused on building websites that generate results. This means you get an attractive site that is easy to use, and that helps you grow your business. Our sites feature high-level marketing, so you stand out from the competition in your industry. To find out more or to set up a time to speak to someone about making your website your number one lead generator, contact ADVAN at 330.688.1324 or submit your questions via our contact form and we’ll respond as soon as possible.